Rayonier owns, leases, or manages approximately 2.7 million acres of working forests in the United States and New Zealand, supplying timber to many markets including pulp, paper, lumber, and renewable energy production. As a long-time partner, they came to Station Four to redesign the website for their Seedling division based in Elberta, AL. Rayonier’s seedling division produces more than 30 million seedlings per year. 90% of these go towards the reforestation of Rayonier’s 2.7 million acres. The other 10% are sold to land managers for their reforestation efforts. 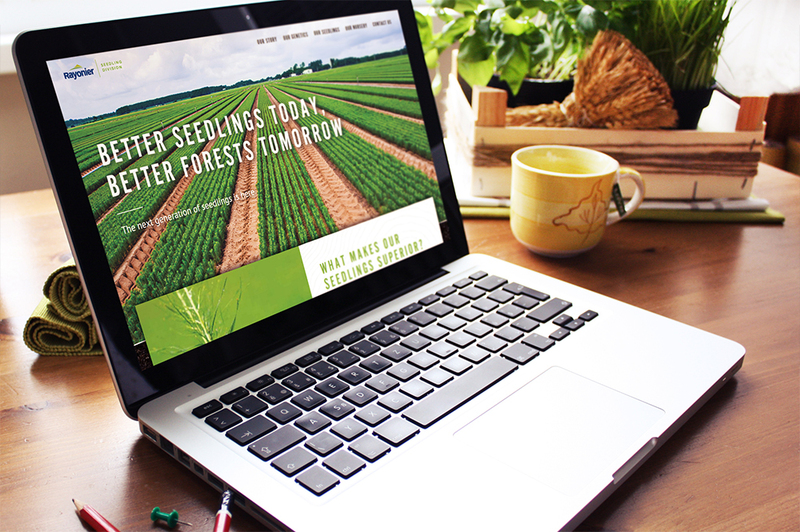 The site’s redesign was part of a digital initiative to grow the retail portion of the nursery and boost sales through establishing the reputation and genetic superiority of a Rayonier seedling.